- impressive discounts on exclusive shopping when Swedens first “group buy” store opens. In the midst of global financial turmoil where many retailers have taken a blow Sturegallerian, a leading premium shopping destination in Stockholm, Sweden, introduces its own ”crowd sprouting” shop. 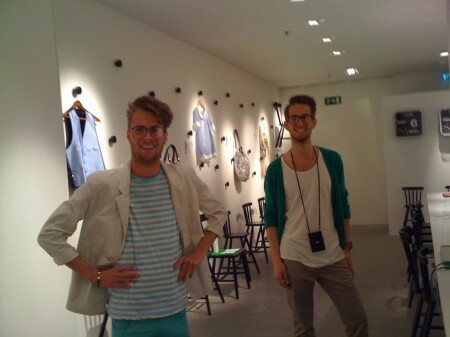 Monday May 4, the store Together opened its doors in the fashionable galleria in the Swedish capital. The store offers substantial discounts on products from Sturegallerian’s exclusive shops and boutiques. Today there is a number of web sites such as, crowdsprout.com, which offers discounts to groups where a lot of pepole are interested in the same product. Now this concept is introduced in Sweden as a physical store, and that in one of Sweden’s most exclusive shopping destinations. – ”Despite the financial crisis Sturegallerian is doing well. However, we believe that we need to stay on our toes and constantly be on the look out for new things. We see this as an exciting experiment to show the wide range of products and services offered in Sturegallerian”, says Pernilla Karvia, head of the shopping centre and responsible for the initiative. The store will offer around 30 products every day and will be updated daily with new offers. In addition to all the shops in Sturegallerian, the exclusive gym and spa, Sturebadet, and the many restaurants will also offer discounts. In the store, the merchandise will be on display and customers can submit their interest for a specific product or service. If enough people announced their interest the customer will then receive a text message saying that he or she can pick up the product at the store. Every offer is valid for a limited time only. For those interested you need to be quick. The store will only be open during the month of May. 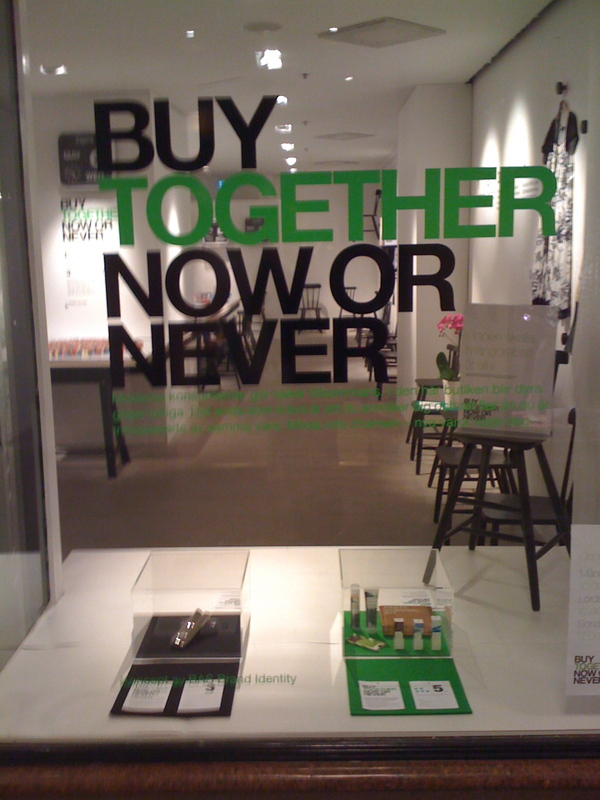 The idea behind Together and the design of the store is a collaboration between Sturegallerian and retail and brand specialists BAS Brand Identity.